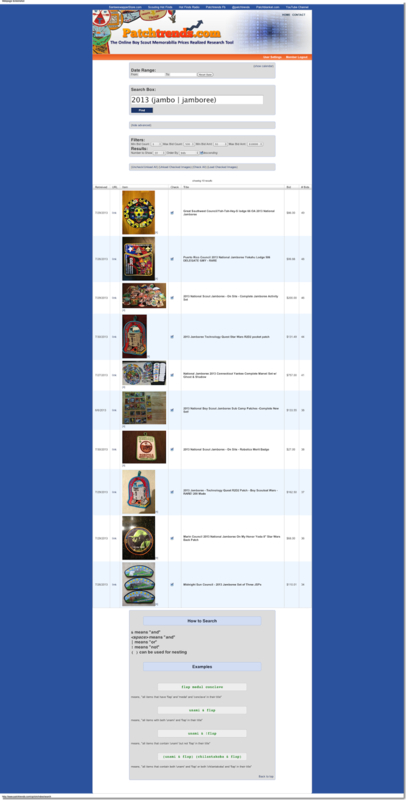 The 2013 National Boy Scout Jamboree items when looked at based on bidding activity paint a much different story than those ranked by amount. One interesting thing you seem to find when looking at the trends related to these patches using Patchtrends.com is that much more often than not, those items with many bids are a) not the same as the highest priced items, and b) often sell for less than the most expensive items. Given the area's storied past and continued importance to national defense, security, and research I can see why the Great Southwest Council set is such a desired item. This list was generated using Patchtrends.com. Join today!